Beyonce joined in on a recent social media challenge. Well kinda. 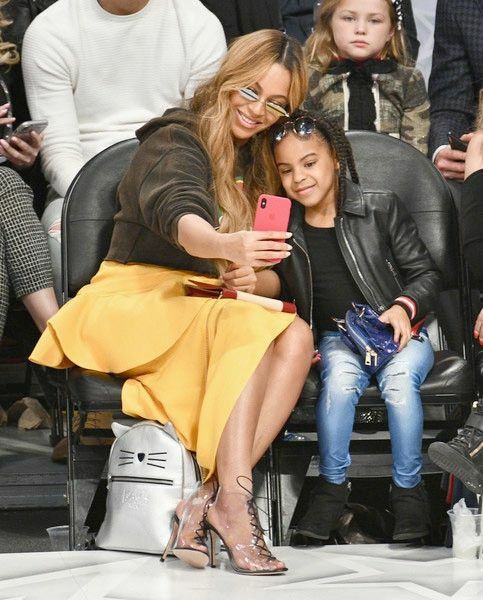 Last night, Bey was heavy on her phone, posting up pictures of herself and her fiyah picture taking 7-year-old daughter Blue Ivy on her Instagram account. "Someone made this comparison of me at age 7 and Blue at age 7," she wrote in the caption. "My baby is growing up." We can't even deal with the fact that Blue Ivy is already 7. It feels like yesterday we were waiting for the first pictures of her to be revealed. If you've been on social media lately, then you've seen your friends participate in the #10YearChallenge. Well, tons of celebs also participated, proving yet again that "black don't crack!" We say that phrase all the time, but it's true. Looking at these throwback pics compared to the recent ones it's as if some celebs are aging backward. #10yearchallenge ..ok so this is more like 18 Years buuut you get the point. I have always been somewhat of a risk taker in every area of my life .. My Mom says I’ve always moved to the beat of my own drum. People have often told me throughout my life to get in line, I’ve even tried at times but thankfully what’s unnatural never works out for me lol. Ive never really believed in “no”, I only believe in “how can we get it done”. And when I hear “that’s never been done, so I shouldn’t try”, I’m somehow never discouraged & always way more determined. I guess somethings don’t change that much .